All of these actions are governed by a number of rules that apply to all facets of the investigation. Those rules are commonly referred to as rules of evidence. 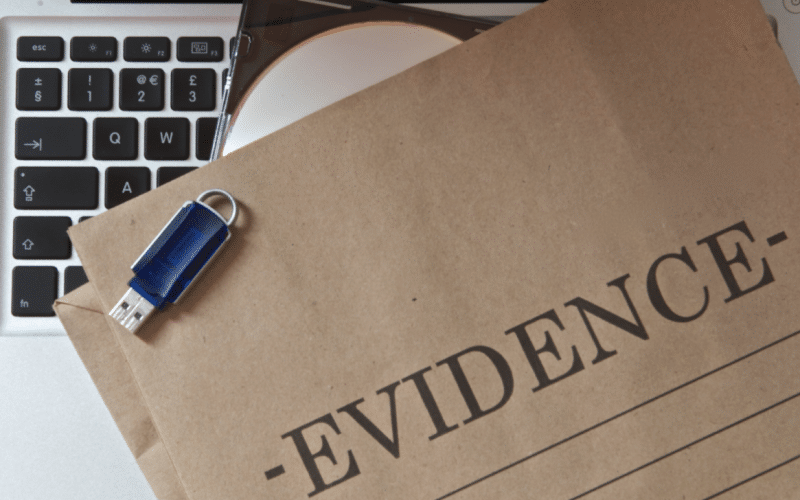 If an investigator violates any of the rules of evidence during the investigation the evidence gathered may be declared inadmissible in court and therefore create an obstacle for the prosecution. While there are times when it is permissible to use deception when performing an investigation, it is important to understand the limited times when deception is appropriate. Undercover operations employ deception when investigators pose as criminals to gain the confidence of suspects or suspect groups. However, the use of deception has its limitations and does not include the actual evidence, reports, or other types of information submitted to be true and accurate. If an investigator does any of the following it not only negates the value of the evidence but also may be the basis for the investigator to become the subject of a criminal investigation. 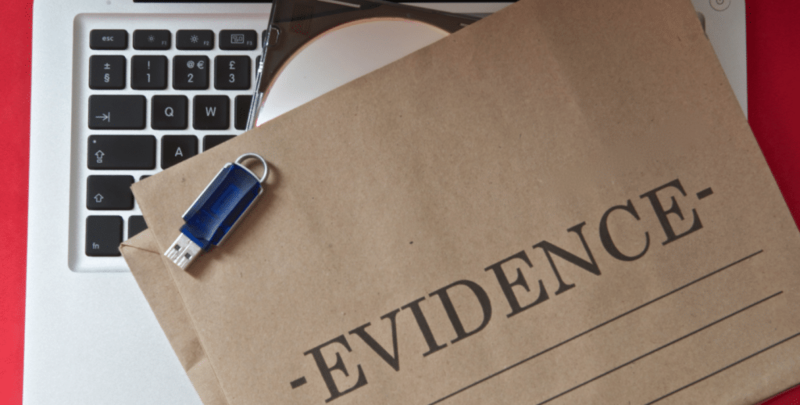 Investigators often must conduct searches to obtain physical evidence. Those searches must fall within the restrictions of the 4th amendment to be considered reasonable and the evidence obtained from the search to be admissible. Searches for evidence fall into two primary categories. Searches pursuant to a warrant are subject to challenge based on the credibility of the information used to apply for the warrant. Should that information be deceptive it could lead to the fruit of the search being declared inadmissible in a suppression hearing. That in any other manner the search and seizure violated the rights of the person involved. A search without a warrant is presumed unreasonable and the evidence will be excluded unless it falls into one of the exceptions to the warrant requirement. There are some exceptions but it is recommended that, if possible, a search warrant should be obtained. 4.) The risk of danger to the police or to other persons inside or outside the dwelling. ** In absence of Hot Pursuit, there must be probable cause that one or more of the other factors were present. ** In assessing the risk of danger, the gravity of the crime and likelihood that the suspect is armed should be considered. Was consent voluntarily given under totality of the circumstances? Did the scope of the search exceed the consent given? Did the person consenting have the authority or apparent authority to give the consent? When questioning a suspect it is important to understand when the subject should be given the Miranda warning and when the suspect has a right to an attorney. Being asked guilt seeking questions. While this may seem pretty simple courts tend to view the circumstances from the suspect’s perspective. The argument then becomes a subjective issue. The courts consider whether the suspect felt he was in custody and not free to go. The Miranda ruling was intended to eliminate the “inherently coercive” atmosphere that exists in a custodial environment. Therefore, the requirement for Miranda only exists when the suspect believes he/she is in custody. The right to an attorney also applies to any person feeling they have become a subject of an investigation and are being asked guilt seeking questions. The 6th amendment protects the accused’s right to counsel in any criminal proceeding. Two significant elements are “accused” and “criminal proceedings”. When interviewing suspects, the violation of the 5th and 6th amendments could result in suppression of the evidence. When a suspect requests a lawyer the investigator must terminate the interrogation. In State v Harris the court held that the defendant unambiguously asked for an attorney and therefore the information derived from subsequent questioning was inadmissible. This holding is compatible with the Fifth and Sixth Amendments guaranteeing the accused’s right to have the assistance of counsel for his defense. Supreme Court case law indicates that the Sixth Amendment right to counsel attaches when judicial proceedings have begun against a suspect by means of preliminary hearing, indictment, information, arraignment, or formal charging. This includes any proceedings that take place subsequent to the charging of an individual. 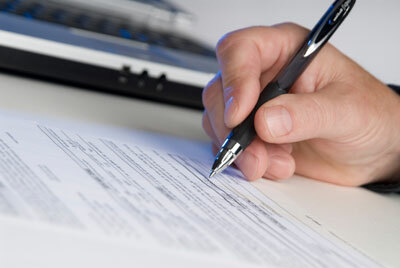 For purposes of an investigation, the charging process starts with the probable cause statement. This, however, the absence of formal charges does not preclude the suspect’s right to an attorney prior to being charged. Both the Fifth and Sixth Amendments to the U.S. Constitution involve the right to counsel. While sometimes overlapping, there are several differences between these rights. Therefore, prior to charging a suspect, the right to counsel still applies based on the principles set forth in the Miranda advisement. Under the Fifth Amendment, a person must be given Miranda warnings, including informing the suspect of their right to an attorney, before a custodial interrogation by a law enforcement officer. If an individual is not warned of his or her Miranda rights, any information gained through an interrogation is inadmissible in court. Miranda warnings were put in place to allow a suspect to consult with an attorney before a custodial interrogation, even though the suspect may not have been formally arrested. Once a suspect invokes his/her right to counsel, an investigator may no longer ask guilt-seeking questions. Your investigation is only as good as the report that supports it. The coroner’s report focuses on a medical examination or autopsy of the body at a morgue and on the scene, to determine the cause of death. 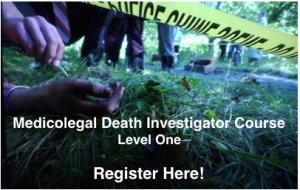 But investigators with the coroner’s office also frequently gather other information, such as interviewing family members, acquaintances of the deceased and other people, to help determine what caused the person’s death. Summaries of that information are also included in the reports. Every agency, and each investigator, has their own style and guidelines for writing the final case narrative of a death investigation. However, with the differences also come standards. Write facts rather than opinions. Choose the correct words to describe the incident. Organize the report by using openings, paragraphs, and headings. Good report writing is a skill that is improved over time. Remember that you are writing the final chapter of someones life and you are responsible to speaking for them. The quality of your report is a direct reflection of you as an investigator. Certain routine steps are taken in investigating fatal injury inflicted by a firearm either as a result of foul play or accident.’ A fatal gunshot case presents many challenging medicolegal problems which involve cooperation among the forensic pathologist, firearms identification expert, laboratory technician and the police. 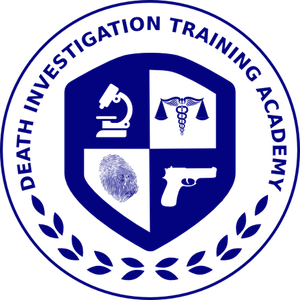 The belief that an “expert” can view the body and without further corroborating evidence testify in court as to the range at which this person was shot and the calibre of the weapon is one of the most common fallacies.’ Since the average person interested in law enforcement is generally not trained in medicine it seems best to discuss the information which can be obtained from an examination of a gunshot victim’s body. Suppose a male corpse is brought to a coroner’s office for the purpose of identification and determination of cause of death. First, it must be established whether or not the individual has been shot and, secondly, whether or not the gunshot was the cause of death. If no projectiles can be found in the body through X-ray or exploration, the question of whether the individual has been shot is by no means resolved. For example, multiple wounds inflicted by an ice pick in the back oftentimes gives the appearance of buckshot wounds. Bullet wounds, from external appearance, are of two types; entrance and exit. Few injuries resulting from the discharge of a firearm rule out the possibility of foul play. Firearms identification is also known as “forensic ballistics.” However, since the science of ballistics relates to the study of projectiles in flight the term firearms identification seems preferable. A review of the leading American text, Hatcher, Jerry & Weller, Firearms Identification, Investigation and Evidence, Stackpole Company, Harrisburg (1957), should quickly dispel any doubts on this matter. For an excellent discussion of the historical role of the coroner in identifying deceased persons see Harvard, The Detection of Secret Homicide, Cambridge (1960). Smith and Glaister, Recent Advances in Forensic Medicine, Blakeston’s, Philadelphia (1939) ch. 1, contains a variety of material on the mechanics of gunshot injury. The use of X-ray examination to locate projectiles or fragments of pellets is particularly important where the investigator wishes to weigh the bullet in order to have some approximation of caliber. Smith and Glaister, op. cit. supra n. 5 at 20. Published by EngagedScholarship@CSU, 1964 1 FATAL GUNSHOT WOUNDS. On this show we talk to Dr Judy Melinek about the issues in investigating gun shot wounds. We talk about types of wounds and what obstacles investigators can encounter in a fatal shooting incident. A forensic pathologist can not work in a vacuum, they must have critical information gathered at the scene by qualified investigators. It is only with this information and the results of the autopsy that a ruling can be made. It is often that a ruling will be delayed, or no determination made at all, without this information and investigation by the medicolegal investigators. 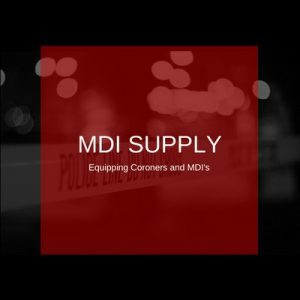 In this episode I talk with Dr. Judy Melinek, and forensic pathologist working with the Alameda County Coroners Office and and private consultant at Pathology Expert .com. We discuss what investigators need to provide to a pathologist to help in the determination of cause and manner of death. We also discuss her role in the 9/11 attacks as she was working in New York City at the time and witnessed the first plane hit. Dr. Melinek, along with her husband TJ – wrote the book Working Stiff that chronicle her first two years as a forensic pathologist and her work in New York City Medical Examiners Office during the 9/11 attacks. The fearless memoir of a young forensic pathologist’s “rookie season” as a NYC medical examiner, and the cases—hair-raising and heartbreaking and impossibly complex—that shaped her as both a physician and a mother. Just two months before the September 11 terrorist attacks, Dr. Judy Melinek began her training as a New York City forensic pathologist. With her husband T.J. and their toddler Daniel holding down the home front, Judy threw herself into the fascinating world of death investigation—performing autopsies, investigating death scenes, counseling grieving relatives. Working Stiff chronicles Judy’s two years of training, taking readers behind the police tape of some of the most harrowing deaths in the Big Apple, including a firsthand account of the events of September 11, the subsequent anthrax bio-terrorism attack, and the disastrous crash of American Airlines flight 587. Lively, action-packed, and loaded with mordant wit, Working Stiff offers a firsthand account of daily life in one of America’s most arduous professions, and the unexpected challenges of shuttling between the domains of the living and the dead. The body never lies—and through the murders, accidents, and suicides that land on her table, Dr. Melinek lays bare the truth behind the glamorized depictions of autopsy work on shows like CSI and Law & Order to reveal the secret story of the real morgue. Judy Melinek, M.D. is a graduate of Harvard University. She trained at UCLA in medicine and pathology, graduating in 1996. Her training at the Office of the Chief Medical Examiner in New York is the subject of her memoir, Working Stiff, which she co-wrote with her husband. 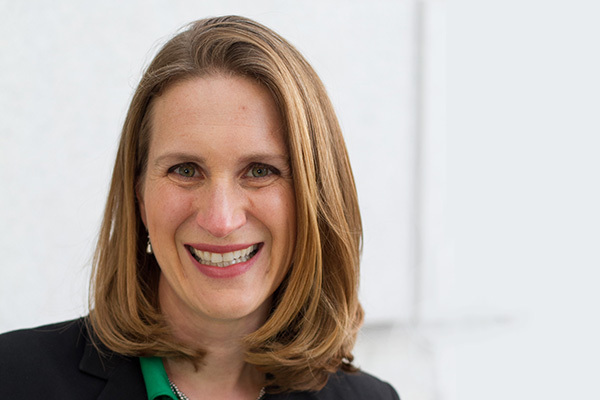 Currently, Dr. Melinek is an Associate Clinical Professor at UCSF, and works as a forensic pathologist in Oakland. She also travels nationally and internationally to lecture on anatomic and forensic pathology and she has been consulted as a forensic expert in many high-profile legal cases, as well as for the television shows E.R. and Mythbusters. T.J. Mitchell, her husband, graduated with an English degree from Harvard and has worked as a screenwriter’s assistant and script editor since 1991. He is a writer and stay-at-home Dad raising their three children in San Francisco. Working Stiff is his first book.